Each spring, a giant inflatable duck floats in the Saugatuck River. It’s a fun, funny promotion for the Sunrise Rotary Club’s Great Duck Race. This spring, he gets a companion. On April 27, the 8th annual Maker Faire features a Great Duck Project. Attendees will try to set a world record for the largest 3D printed duck. It’s “the first of its kind global crowd-sourcing science and art initiative,” says Mark Mathias. He’s the founder of the Westport’s Maker Faire, and a Sunrise Rotary member. 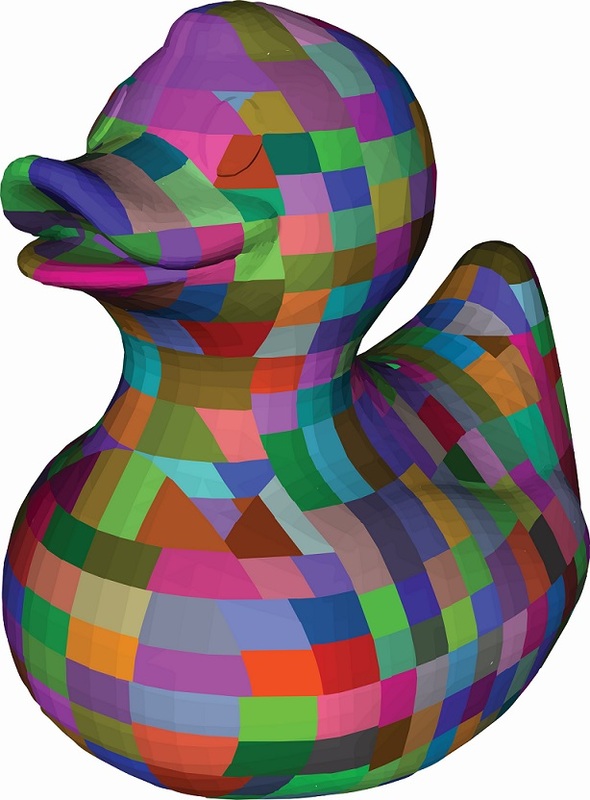 Artist’s rendering of the 6-foot 3D duck. “Global” is no exaggeration. People from around the world are invited to 3D print and submit pieces. They’ll be combined into a 6-foot tall, 476-piece duck. Mathias takes “around the world” literally. He reached out to the McMurdo station in Antarctica, to see if they’ll participate. But keeping the Great Duck Project terrestrial should be interesting enough. Don’t have your own 3D printer? No sweat. There are plenty around, in libraries, schools and offices. Once the world-record duck is printed, it won’t disappear. You can see it at the Memorial Day parade — and, of course, the Great Duck Race. This entry was posted in Education, Organizations, People, technology and tagged Great Duck Project, Great Duck Race, Mark Mathias, Westport Maker Faire, Westport Sunrise Rotary Club. Bookmark the permalink. I am printing two parts of the Duck. I would like to know how I find out where on the duck my parts go.